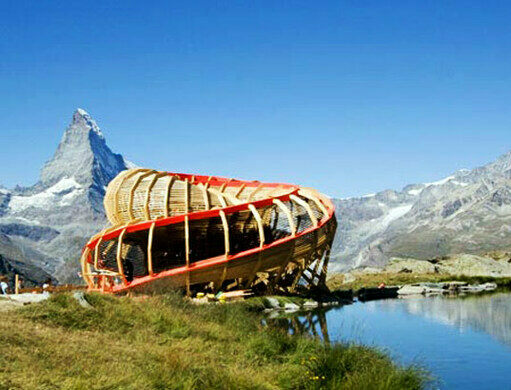 Spiral alpine structure provides an alternative experience of viewing the Matterhorn. Sorry, Evolver is permanently closed. Update: Regrettably, when visited in September 2015, Evolver had been removed. But Stellisee itself is far and away the most picturesque on the 5 Lakes walk. 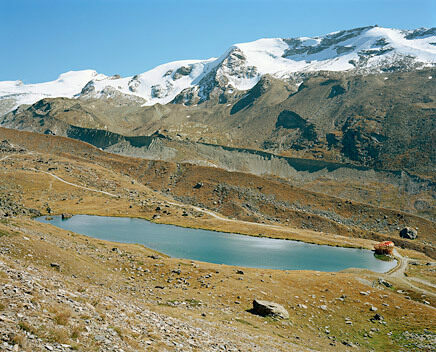 Site of "The Absinthe Murders"
A tiny rural community in Switzerland was home to one of history's most shocking murders, and led to the banning of Absinthe for nearly a century. Zermatt is a ski resort town in Switzerland famed for its breathtaking views of the Matterhorn mountains. The views are so spectacular that the town of Zermatt prohibits the use of combustion-engine automobiles in an effort to prevent air pollution from obscuring the surrounding landscape. 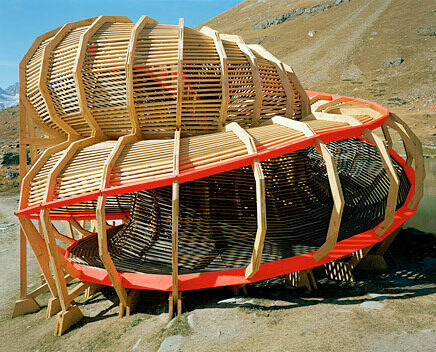 Ironically, it was this notion of partial, obscured views of the Swiss Alps that inspired a group of experimental architecture students to design the Evolver, a spiral alpine structure that provides an alternative view of the mountains. 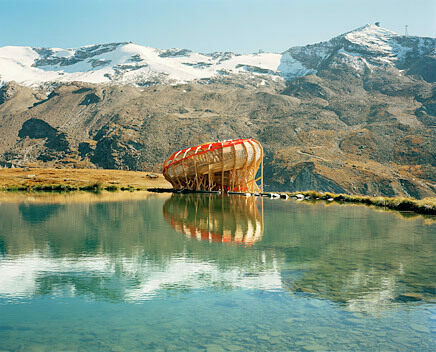 The students, all in their second year at the ALICE studio at Ecole Polytechnique Fédérale de Lausanne, built the Evolver near Lake Stelli in Zermatt. 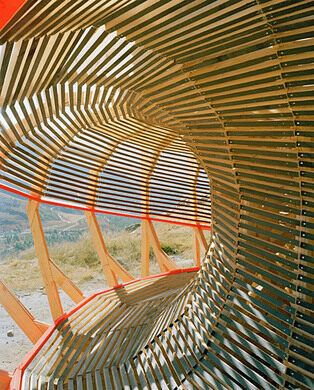 The structure is comprised of 24 round wooden frames that twist and turn into a 720 degree panorama of the mountains. The frames are held together by wooden slats, all purposefully spaced apart to both obscure and focus on particular points of the landscape. The Evolver is one of several of the ALICE students’ experiments on altitude. Though the structure was completed in the fall of 2009, there is no information on how long it will remain at the site. The only tower of an aerial tramway standing over a ski-lift. Explore the subjective dream of a hotel. One of the highest emergency huts in the world has been waiting almost a century to give imperiled climbers a place to lie down. This Italian dam is covered in salt-hungry goats who manage to scale its almost vertical face.